The Center for Digital Antiquity is seeking a visionary Lead Software Engineer to help develop and expand the software infrastructure and services of tDAR (the Digital Archaeological Record), a state-of-the-art international digital repository for archaeological and cultural heritage data. 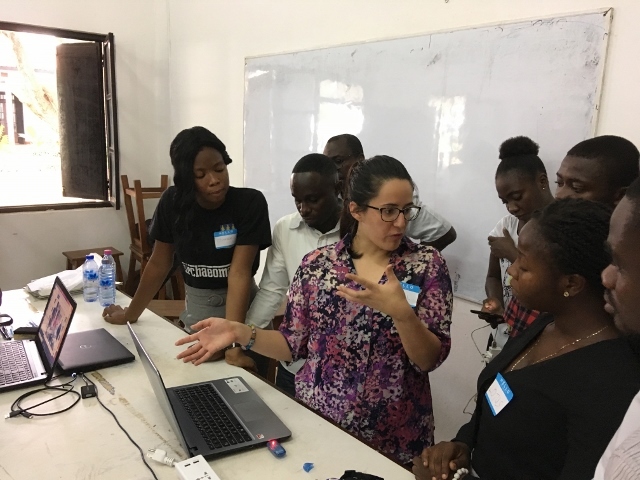 This is a unique opportunity to lead the technical development of innovative systems and tools for digital data management, preservation, and sustainable access to the digital repository. This position works with the development team to design, implement, document, and support tDAR. The ideal candidate will possess knowledge of general programming paradigms and languages, full-stack development, open source data repository platforms, and experience with full-text search platforms including but not limited to: Java, Python, Ruby, PostgreSQL, Apache Solr, Fedora, DSpace, HubZero, and Dataverse. This position reports to the Center for Digital Antiquity’s Executive Director and Board of Directors. To learn more and to apply, visit the Arizona State University employment website. Applications will be accepted through January 21, 2019. 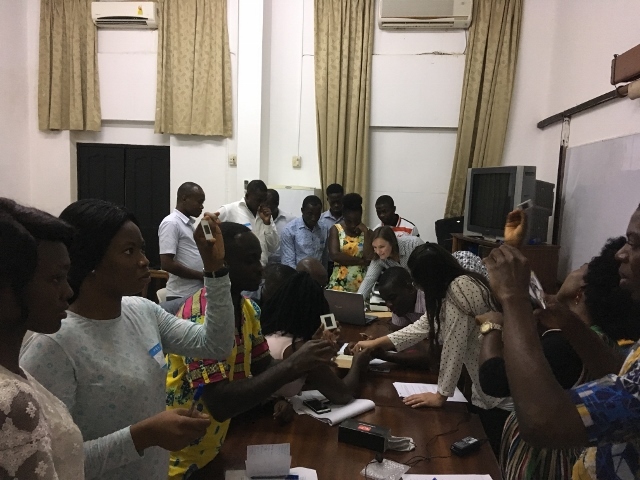 At the kickoff workshop for the grant, a great group of 30 students, faculty, and staff participated in a series of lectures and hands-on activities throughout the week that touched upon topics such as best practices for digital data management and converting slides into digitized files. By the end of the intensive week, the group had the chance to digitize documents, sort and digitize color slides, take photos and videos with audio, organize documents and add important metadata, and lastly, make draft digital data management plans to help them organize their own projects. 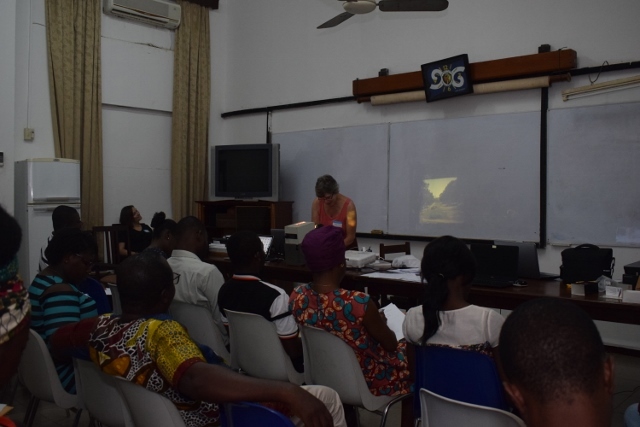 Rachel was able to not only talk about the curation and planning activities that the Center for Digital Antiquity is able to provide, but also learned about the challenges and innovative projects that are happening in Ghana. 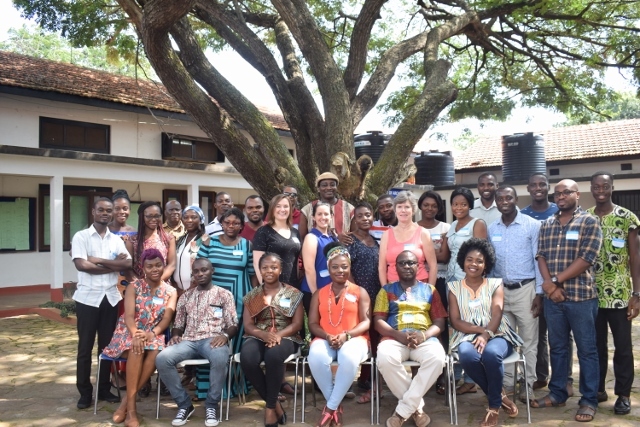 This partnership and workshop is a great example of how the archaeological community can come together with broader local and national communities to provide greater accessibility and increase preservation of valuable cultural heritage resources. We look forward to continuing working on this project and assisting in the workshops to come. This past fall, Digital Antiquity had the opportunity to work with a new student intern, Lauren Tennison. 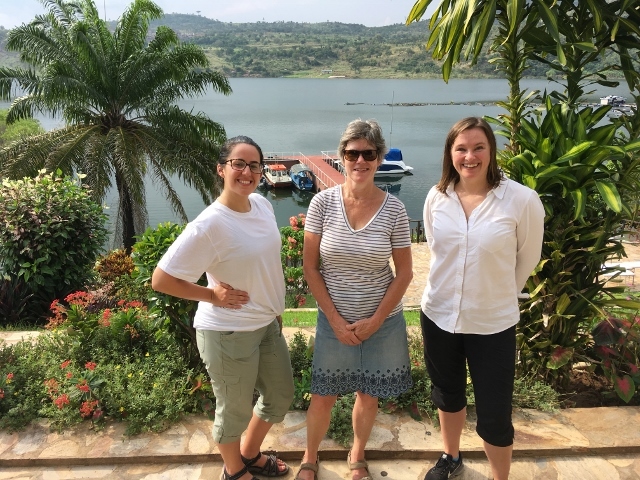 As part of her internship, Lauren helped with adding content to tDAR for the Digital Archive of Huhugam project as well as learning skills in curation and redaction of archaeological reports. We are so happy to have had Lauren on board! Degree: Currently pursuing a Bachelor’s degree in anthropology with a concentration in archaeology at Arizona State University. 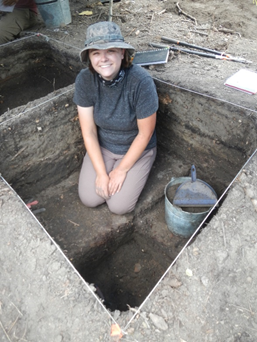 Previous Work Experience/Research Focus: I excavated, surveyed, and did research at a Colonial era fur trading site in Alberta, Canada. I also excavated and surveyed at a few Hohokam sites in Phoenix, Arizona. Favorite Places to Travel to: My grandmothers in Cottonwood, Arizona and anywhere new. Fun fact: I graduated with an Associate of Science degree from Weatherford College, Weatherford, Texas. Then, I transferred to Arizona State to get my Bachelors of Business in Global Logistics Management. After a few semesters of that I realized where my real passions were and changed majors. Favorite Collection: I’ve really enjoyed working on DAHA, the Digital Archive of Hohokam Archaeology. I love seeing how widespread their empire was. The Center for Digital Antiquity is currently seeking an Administrative Specialist and we invite all qualified applicants to apply. This position plays a vital role within our organization. We are seeking applicants who are motivated, self-directed, and shows professionalism in working directly with the Executive and Associate Directors on administrative matters related to general operations, financial resources management, client relations, and project coordination. To learn more and to apply, visit the Arizona State University employment website. Application deadline is October 22, 2018 at 3:00pm (MST).